The words Believe in Yourself with a man standing with arms up Have nothing to fear with our Believe In Yourself Business PowerPoint Template 1110. Just download, type and present. 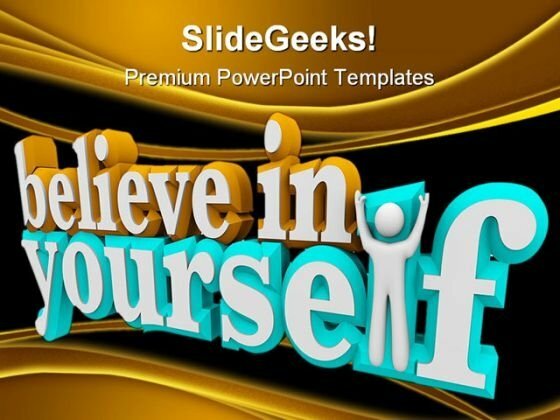 Frame an argument with our Believe In Yourself Business PowerPoint Template 1110. Try us out and see what a difference our templates make.